Payment gateways are an important tool in the payment-processing world, which many businesses across the country utilize on a daily basis. However, this tool and its importance can fly under the radar, outshined by the terminals that sit front and center at checkout stations. It’s imperative to have a good understanding of all of the payment resources available to you, which is why we’ve created this quick guide on what payment gateways are, and how they work! A payment gateway is a transaction enablement platform that allows ecommerce and office-based merchants to process payments online or in the cloud. This means that gateways act like a door between a website and the data elements of a payment processor, allowing the two systems to speak to one another when initialized. Without payment gateways, ecommerce websites would be unable to accept payments, as they would have nowhere to send through purchase information. Simply put, a payment gateway facilitates a transaction by securely transferring payment information from an ecommerce platform to a payment processor such as Moneris. There are a number of different ways that this payment information could be secured, depending on the payment processor that runs the gateway. Regardless of the method however, the information sent to the payment processor is only legible and useable to that party. The payment processor then takes that information and determines whether the payment is valid, and sends the authorization information back through the gateway to the platform where it came. Payment gateways make this information transfer simple and secure, and remove some of the roadblocks that once existed with online payments. 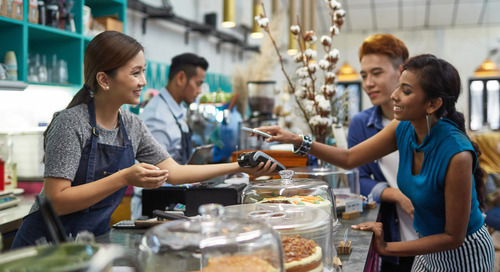 One of the key benefits of a payment gateway is that merchants can use to include a number of value-added services and checks that other payment solutions aren’t able to offer. This includes options like adding fraud protection and data analytics solutions to a gateway, and utilizing real time reporting tools to get up to the hour revenue information. Payment gateways also offer tokenization services, where a customer can opt to have their information saved for future purchases and have that data securely stored. Interested in learning more about the specifics of payment processing? 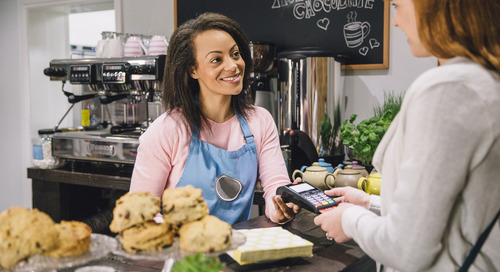 Make sure to check out our articles A Glossary of Payment Terms Business Owners Should Know and How Mobile Payments Actually Work.